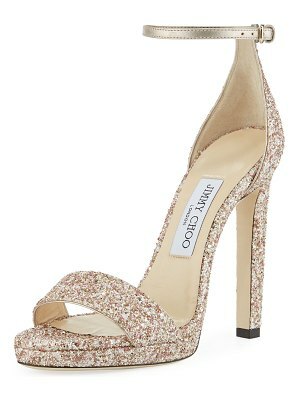 Jimmy Choo dusty glitter sandal. 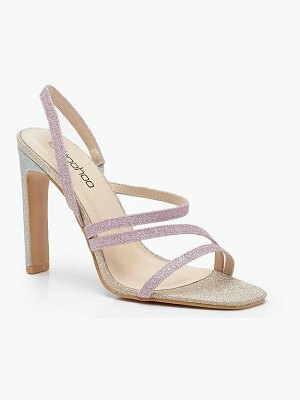 2.5" covered heel. 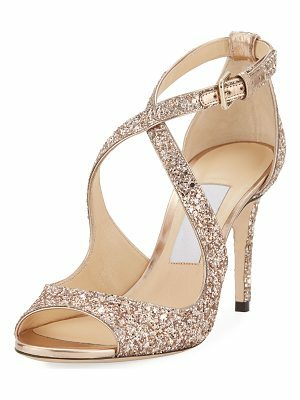 Tapered strap bands open toe. d'Orsay silhouette. Adjustable ankle strap. Leather lining and sole. "Annie" is made in Italy.